The facility is underground, so the precise scale is unknown. In March 2001, the base was said to have 20 Nodong missiles, but a high-level South Korean military official has denied these reports. 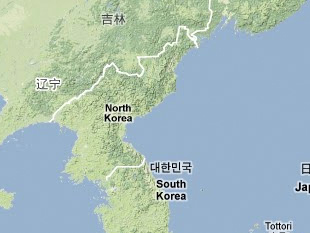 Reports about a missile base under construction at "Yong'ŏ-dong" (용어동) in the central northern region near Mt. Paektu originated with a defector who fled to Japan. However, "Yong'ŏ-dong" is an incorrect name for the location " Yŏngjŏ-ri." According to Kenki Aoyama, Kim Il Sung ordered the evacuation of all citizens from the area in 1993 for the construction of a missile base, and construction began by the mid-1990s in the area between Kungmangbong and Mujungbong near Yŏngjŏ-ri. During the construction period, North Korea used Hwoeyang Station (회양역) to unload construction materials even though it was about 3-5km farther than Wŏlt'an Station (월탄역). According to Aoyama, the unloading facility and road around Hwoeyang Station were superior to those at Wŏlt'an Station, which are narrow and steep. Aoyama claims there are 12 tunnels at the base; six of them are for missiles, and six of them are for personnel and supplies. Each missile tunnel has five or six compartments for a missile; therefore, the base should have a capacity of about 36 missiles. In July 1999, a South Korean report noted that 70% of the base construction had been completed and that the base would have 10 launchers for both the Nodong-1 and "Taepodong-1" (Paektusan-1) missiles. Twenty Nodong missiles may have been deployed to the base in early 2000, but construction of the base was still in its final stages in March 2001. The base likely houses Nodong missiles with mobile launchers rather than fixed missile silos or fixed launchers. In October 2002, North Korea admitted that it possesses a program to enrich uranium, and the Yŏngjŏ-ri is a suspected site for this program. According to "intelligence and diplomatic sources in Seoul," U.S. government officials briefed the South Korean government around 10 October 2002 about North Korea's uranium enrichment program. "Yŏngjŏ-dong" (sic) was one of three suspected sites; the others were "Hagap" and the "Academy of Sciences" in Pyongyang. It is unclear whether U.S. officials have identified a separate facility in Yŏngjŏ-ri dedicated to uranium enrichment, or if the site previously identified as a missile base is a uranium enrichment facility instead. Interview with North Korean defector Kenki Aoyama by CNS research associate Mari Sudo, 20 October 2002, Chiba Prefecture, Japan. Kenki Aoyama, Kitachosentoiu Akuma (Tokyo: Kobunsya, 2002), pp. 248-254. Yu Yong Wŏn, "Pukhan Chiha Missile Kiji Chunggukkukkyŏng Pu'gŭn'e Kŏnsŏl," Chosun Ilbo, 7 July 1999, in KINDS, www.kinds.or.kr. Kevin Sullivan and Mary Jordan, "North Korea Building New Missile Site, South Says," Washington Post, 8 July 1999, in Lexis-Nexis Academic Universe, www.lexis-nexis.com. Han Kyŏng Hun, "Pukhan Missile Ŏdi'e Sumgyŏ Twŏnna/Chung Chŏpkyŏngjiyŏk Tŭng 10 Kos'e Palsakiji," Segye Ilbo, 7 August 1999, p. 5, in KINDS, www.kinds.or.kr. Lee Yŏng Jong, "'Puk Yanggangdo Sae Missile Kiji 70% Chinch'ŏk' Kukpang'yŏn Shin Sŏng T'aek Ssi Palkhyŏ," Joongang Ilbo, 19 November 1999, p. 2, www.joins.com. Hwang Yang Jun, "[Kundangguk], 'Puk Sagŏri 550Km Missile Kiji 6 Kot Kŏnsŏlchung'," Hankook Ilbo, 27 October 1999, p. 1, in KINDS, www.kinds.or.kr. "Puk Missile Chŭnggangbaech'i Chinghu Ŏpda," Chosun Ilbo, 2 March 2001, www.chosun.com. Yu Yong Wŏn, "Puk, Nodong 1 Ho 100 Yŏbal Paech'i," Chosun Ilbo, 2 March 2001, www.chosun.com. Yu Yong Wŏn, "Puk, Hubang Chihagiji 3 Kot Kŏnsŏltŭng Pimilchŭnggang Kyesok," Chosun Ilbo, 2 March 2001, www.chosun.com. Eya Osamu, Kim Sei Nichi Daizukan (Tokyo: Shogakkan, 2000), p. 11. Kim Min Sŏk and O Yŏng Hwan, "Puk, Uranium Nongch'uk Shilhŏmjangso 'Pyŏngsŏng Kukkagwahag'wŏn' Yu'ryŏk," Joongang Ilbo, 19 October 2002, www.joins.com. Yonhap News Agency, "Mi'guk, Pukhaek Kaebal 'Ŭishim' Shisŏl 3 Kot," Hankryoreh Shinmun, 19 October 2002, www.hani.co.kr. Oh Young-hwan and Kim Min-seok, "North Moved Nuclear Research Site," Joongang Ilbo, 19 October 2002, http://english.joins.com. Press Statement, Richard Boucher, Spokesman, "North Korean Nuclear Program," U.S. Department of State, 16 October 2002, www.state.gov. Joby Warrick, "U.S. Followed the Aluminum," Washington Post, 18 October 2002, p. A1, www.washingtonpost.com. David E. Sanger and James Dao, "U.S. Says Pakistan Gave Technology to North Korea," New York Times, 18 October 2002, www.nytimes.com.